These aren’t the sharpest photos on the planet because I had to take a picture of a picture, but this definitely gives you a rare view at an Amish wedding cake. This cake was made by Miriam Miller, an Amish school-teacher in Fredonia, Pennsylvania. Fredonia was one of the many Amish settlements we visited in writing Amish Cooks Across America and Miriam and her mother were so hospitable, warm, and friendly. They were just a delight. I write more about Miriam in our book, but she’s an accomplished painter, school-teacher, gardener, baker, and one of her other sought-after skills: wedding cakes. She gave me this photo to possibly publish in ACAA but it couldn’t be reproduced properly, but I still wanted to share it. Lots of labor goes into such a cake. The photos below show the main wedding cake , but there would also be “side cakes” served around the main cake so all guests and helpers could have a piece. Note the intricate frosting designs? I couldn’t make a cake like this, but I could sure eat one:) Below are two more photos, one shows a different angle on the above cake which shows the square base of the cake better. The last photo shows a plainer Amish wedding cake, probably more traditional, but with a sweet heart-shaped touch.By the way, I have only seen a few Amish wedding cakes through the years. Ones I have seen pretty much mirror this one, although without the flowers. Wedding season is in full swing right now in some southern Amish settlements like Ethridge, TN and Pontotoc, Mississippi since the weather is cooler and the harvests are complete. In more traditional Amish areas the main Amish wedding season is still several months away, but young couples already have their cake orders into Miriam by now, I am sure. Update: Miriam married and moved to the Amish settlement in Delaware. I’m sure she took her talents with her. Would love to catch up with her again one day! Look a lot like of cake I have seen on any wedding planning site. They are so beautiful. I don’t know what else could be said about them. I wish I had a piece right now with my coffee. Miriam Miller? That name sounds familiar. I have a Amish cookbook written by 17 year old Miriam Miller. I wonder if it’s the same person. Amy, I doubt it is the same, Miriam never mentioned a cookbook to me …where is she from? I’d like to hear more about the cookbook, that sounds neat, a cookbook from the perspective of someone that young and Amish. Miriam and Miller are fairly common names among the Amish…thanks for stopping by! Kevin, I looked up that book for you: The Wooden Spoon Cookbook, by Miriam Miller (and yes, she was just 17 at the time she wrote it!). You can find this on Amazon.com or Barnes & Noble’s web site. 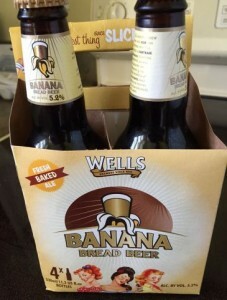 I just bought one for $4.95 plus $3.99 shipping on Amazon.com. karen, thanks for the info…let us know how you like the book, sounds interesting! Thanks for answering me, Kevin. Yeah, I had my doubts it was the same Miriam. Btw, there is a follow up to “The Wooden Spoon”. It’s called “The Wooden Spoon: Wedding Sampler Cookbook”. It’s the recipes served at her 500 guest wedding including recipes from her husband’s family. I didn’t know that Amish weddings would ever have cakes with stacked layers at all, so this is interesting. Now, when is the traditional Amish wedding season? I thought it was in November, or does this vary by area? 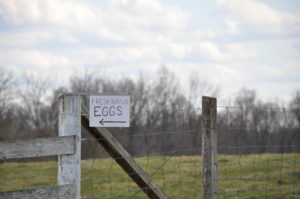 Linda, welcome…and, yes, it varies by area…southern Amish areas (Tennessee, Mississippi) it tends to be November – March when the harvest is done and the weather is cooler. In Amish areas of the Midwest that are heavily agrarian you also tend to see fall weddings. In Amish areas where farming isn’t the huge factor that it once was, June and July tend to be the busy months. October has gained ground in recent years in all areas just because the weather is often reliably nice. What makes these cakes distinctive that they are called “Amish wedding cakes”? Martha, welcome! Okay, the cakes themselves are really like any other wedding cake in terms of their formulation….you’d have to see the cake in context with the whole setting to see what really makes them “Amish” and I don’t have a photo of that…The wedding cake is usually on a table in the corner with low-key but festive decor commemorating the big day…I think the cake is plainer in look than maybe something you’d see at our weddings (i.e, no small bride/groom figures on the cake or pillars holding up the layers), so these are “Amish wedding cakes” in so much that they fit into the overall wedding scene and decor. Very beautiful! The heart one is cute too! I agree! And, welcome to amishcookonline, Ann! Thanks for the info, Kevin. The cakes are beautiful. I think I like them without the bride & groom on top; they don’t seem so *cluttered*. 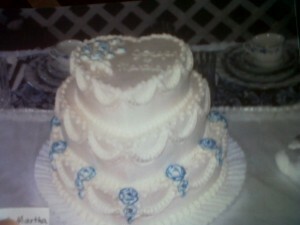 Kevin, When I was to have my wedding, I wanted blue swans on my cake, but my mother wouldn’t allow it. She said, “everyone would think I was loose.” (1959) times change! LOL…Funny, June…how times have changed! Good to see you online here! The cakes are very beautiful! Thanks for sharing the pictures Kevin. Somehow I thought they would be more plain. The fresh flowers look very nice. 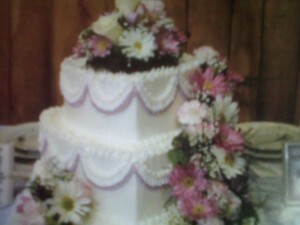 I was also surprised at how fancy the top cake was for an Amish wedding. Oh to be so talented. The cakes are beautiful. 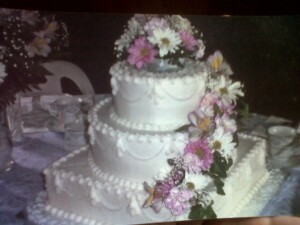 Didn’t even know the Amish would have a wedding cake and if they did, it was very plain. Where would I be able to get the book “Amish Cooks Across America” when it comes out?? Woul love to get a copy. Thanks. I’m looking forward to another Amish cookbook especially one from different Amish cooks. Thanks for sharing that with us…we’re always curious about these sort of things. The cakes are amazing . Kevin, did she happen to mention if they use a special cake recipe? Welcome, Judy….I’d have to dig up my notes for the specifics, but I can tell you she makes the cakes from mixes, so it’s not like they were completely scratch-made. But she clearly puts a lot of labor into each one. welcome to amishcookonline, Lynette…and, yes, they do look tasty! They look great. 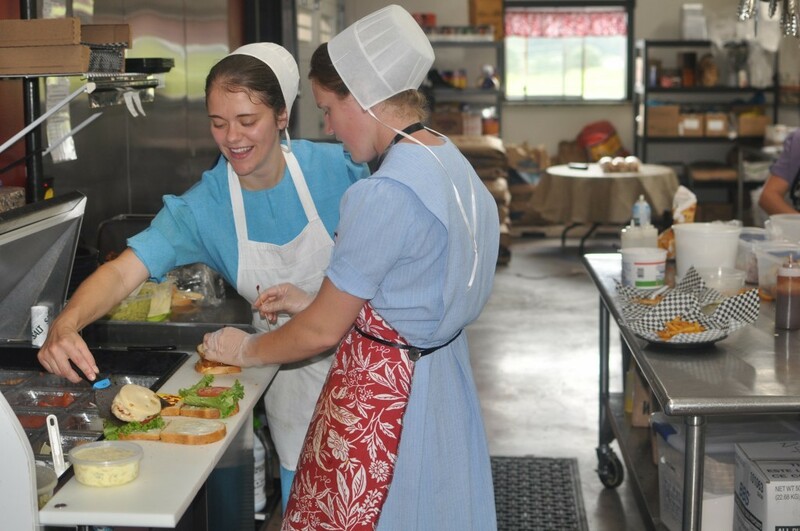 That is good that you shared these pictures with us, because I am just getting into this part of an Amish lifestyle in a novel that I am writing. Thanks for doing this. Wes, welcome and good luck with the novel! I agree with everyone on here who commented, the cakes are just beautiful…..looking forward to your cookbook too…. Is your other book out yet ? The cakes are very pretty. Thanks for sharing. I am so delighted with your blog. We don’t have Amish here or religions like it in Las Vegas, NV. These cakes are beautiful and I would love to have a slice or two. I am sure they are much more delicious than store bought cakes. They put a lot of love into everything they do. They have a “Higher Power” to live for. That’s why the Amish do such a good job. They let their light shine! Diane, thank you for the comment and welcome…so fun to have an Amish Cook reader in Vegas!